One of the worst things about being in business is chasing up overdue accounts. There’s almost nothing worse. You’ve done the work, but yet there’s still more work to be done just to get your invoices paid! Talk about frustrating! Don’t they realise that you depend on getting that money? I get the feeling that lots of small business owners question whether perhaps they’ve done something wrong to cause this problem. Perhaps their work isn’t good enough. Perhaps their clients know they can get away with late payments. But, no. Rest assured that this is something that almost all businesses struggle with – even big companies (although there, they have whole departments just to deal with this). Overdue accounts are nothing to take personally and they’re really just an annoying reality of being in business. But that doesn’t mean there’s nothing you can do to get customers to pay their invoices! To avoid accounts receivable problems, or at least minimise them, the very best thing to do is to have great relationships with your clients. That’s not to say that all overdue accounts are due to poor relationships, but the better you know and can relate to your customers, the less likely this is to happen. Think about it, would you leave a friend with a debt knowing that they needed to be repaid? Of course not! So, make it a habit to pick up the phone and check in to see how things are going with your clients – before there’s a problem. Take time when meeting clients to talk about their personal lives. Share some of your own as well. Try to help your clients out – even when there’s no business benefit for you. By talking to your customers more often, you’ll also get some great business insights too. Don’t think you’re alone in hating doing your ‘paperwork’ and ‘finances’. It’s almost universal! But the longer you leave it, the more likely it is your customers will be late in paying. So clench your teeth and make it a weekly practise to send out all your invoices. Make sure you include the payment terms and the due date on your invoices too. That’s right – don’t wait until an invoice is significantly overdue, get on their case straight away. You need to train your clients to pay your invoices on time, every time. This seems to work best with a zero tolerance approach (within reason!). So, the day after payment is due and not received, send out your first email. Your email should enquire as why their invoice has not been paid. It should be friendly in tone and include something along the lines of ‘if they’re not happy or if anything is wrong, to contact you’. Don’t feel like it needs to come from a special ‘accounts@yourbusiness.com’ type email address – it’s actually more effective if it comes directly from you. So you’ve send an overdue account email a week ago and you still haven’t been paid? It’s time to get on the phone. Be polite and natural, but don’t be apologetic. You have nothing to apologise for – it should be them apologising! In fact, use your call as an opportunity to make a connection. In fact, use every opportunity possible to build your relationship (see point 1). Remember, people are much more likely to pay the people they know and respect. After a bit of small talk, bring up the invoice and your surprise that it’s overdue. Ask them if there have been any problems or if there’s any reason they haven’t paid it yet. They’ll probably be embarrassed, or blame another department, or in some cases, might be surprised that you’re following up when the invoice is only just overdue. If this happens, explain that you’re a small business and this is how you (and maybe your team) support your family/ies. (You could even add that unfortunately you need to buy groceries every single week!) If you’re a freelancer, you could remind them that they wouldn’t be late in paying their payroll, and this is essentially the same thing. Finally, thank them for being understanding and let them know that you love working with them and wouldn’t want something like this to get in the way of that. If you’ve emailed and called and are still not getting payment…. email and call again! If you want to get customers to pay you on time, persistence pays off. Be top of mind when they have enough funds to make some payments. Even if you don’t always get through, seeing your number come up in their phone or getting a another message from their receptionist will remind them and help train them how to deal with your business. Most business owners absolutely dread the thought of calling their overdue accounts and consider it to be awkward, beneath them, or just not a good use of time. But when you consider that you’re both building the client relationship and training your customers in how to deal with your business, it can suddenly hold a lot more value. Retainers – doing regular work for a client? Why not come up with a monthly retainer so that you can bill the same amount each month and carry over any balance of work to the next month? It might help your client budget better for your services (and at the very least, having the conversation will highlight that being paid on time is a priority for you). Deposits – are you doing a lot of work before getting anything for it? Perhaps getting a percentage payment as a deposit is a good idea. Make it a policy not to start any work until that 20% or 50% deposit is received. It’s not unreasonable if you’re incurring costs in doing the work. Payment terms – shorten your payment terms. Sometimes it’s easier to forget about work that was done a long time ago so shorter payment terms might actually be a lot better. Late payment fees or early payment incentives – these can be effective but be a bit wary. Sometimes putting a price on the timing of a payment can change your customer’s decision of when to pay into a purely financial one. If you have fairly close relationships with your clients, it’s often better to use that relationship to get paid rather than encouraging them to see your invoice just as a transaction. Most importantly though, make sure you track your Accounts Receivable and especially your Overdue Accounts. These should be one of the key metrics you look at. Try to come up with a number that tells you how well (or poorly) your business is doing with getting paid on time. 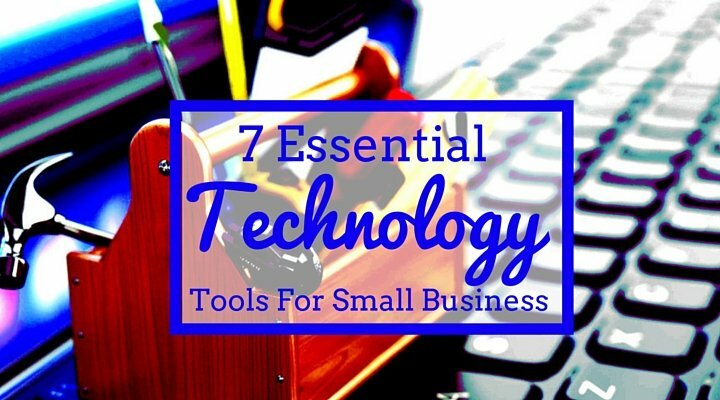 7 Essential Technology Tools for Small Business Do I Really Need a Business Plan? Actionable Business Plan Template Why haven’t you started your business yet?